Ripe, juicy fruit plucked fresh from your own tree may sound like a dream come true, and it can be if you have a little patience. Some fruit trees take years to produce their first crop. If patience isn't your strong suit, don't give up the dream. Just change the fruit. Many fruit trees grow quickly and produce fruits within the first few years after planting. A tree that grows 25 or more inches vertically per year is classified as fast-growing, but that rating doesn't necessarily mean the tree will produce fruits quickly. A tree planted when it is a seedling can take nine or 10 years to produce fruits. 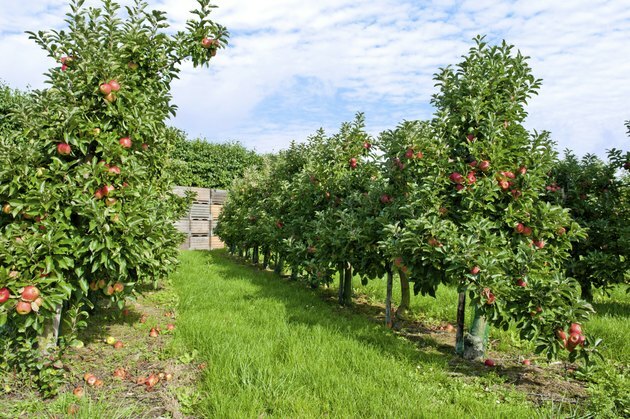 In most cases, however, fruit trees that are grafted onto rootstocks rather than grown from seeds produce fruits within four years, and some produce fruits their first growing season after they are planted. In general, apple and stone fruits grow and fruit the fastest. 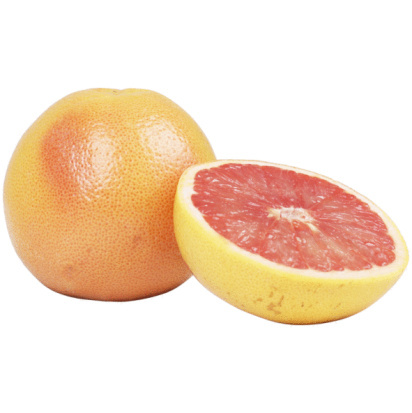 Size matters when it comes to predicting fast fruiting. The faster a tree grows to its mature size, the quicker it will start producing fruit. Fruit trees do not generally produce fruits until they reach their mature size, or close to it. Therefore, the larger the type of tree, the longer it may take to produce fruits. If you want fruit fast, plant a dwarf variety. Climate is another factor in how quickly a fruit tree grows and fruits. Some species and cultivars are much hardier than others. In general, the more vigorous a fruit tree's rootstock is, the better the tree can withstand cold and diseases but the longer it takes to fruit. The growth rate of apple trees (Malus domestica) depends on a number of environmental factors, tree size and type as well as rootstock type. 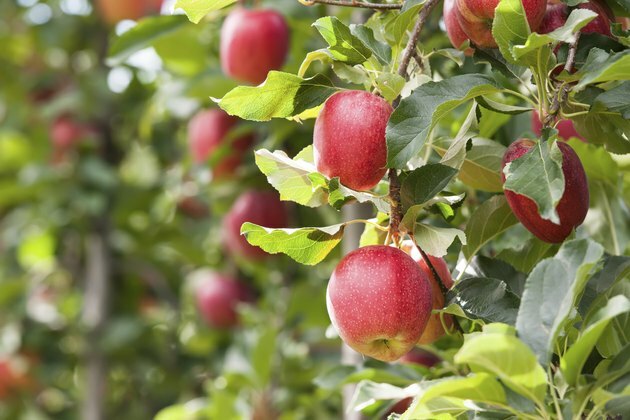 Rootstock is the most important consideration if you want a fast-fruting apple tree. The same variety grafted onto different kinds of rootstocks might fruit several years apart. Rootstocks that fruit quickly include M27, M9, G.16, G.11, G.65 and Bud.9. Trees with those rootstocks should produce apples within one or two years, depending on the climate. In general, apple trees are hardy in U.S. Department of Agriculture plant hardiness zones 3 through 8, but hardiness differs among varieties. 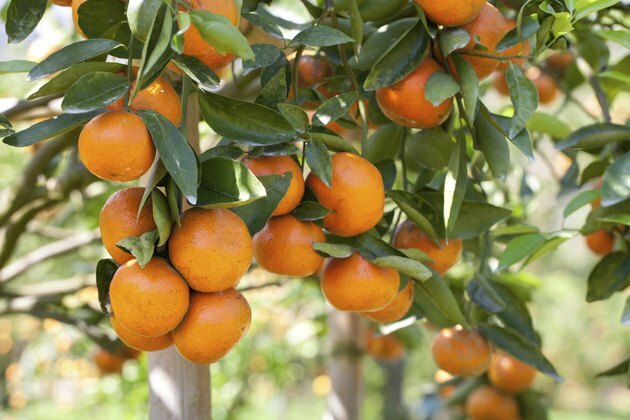 Most citrus trees are grafted and produce fruits within one to two years after planting, although, as with all fruit trees, fruiting can depend on climate. 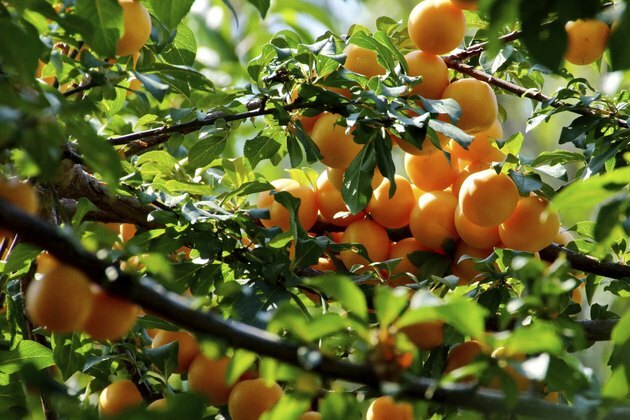 The stone fruit trees apricot (Prunus armeniaca) and peaches (Prunus persica) grow to maturity and produce fruits two to four years after planting. 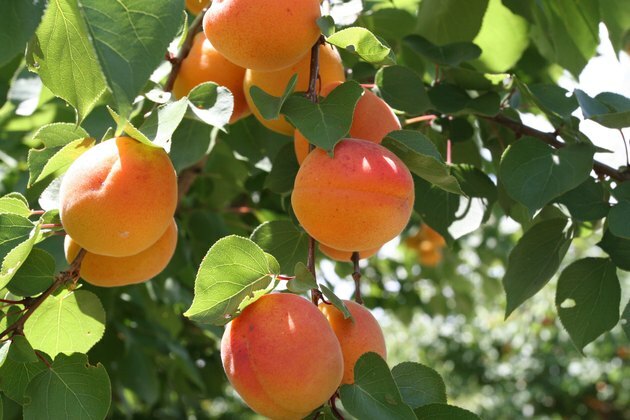 Apricots are hardy in USDA zones 5 through 7, and peaches are hardy in USDA zones 5b through 8.